Where did the time go? It’s been a great year. 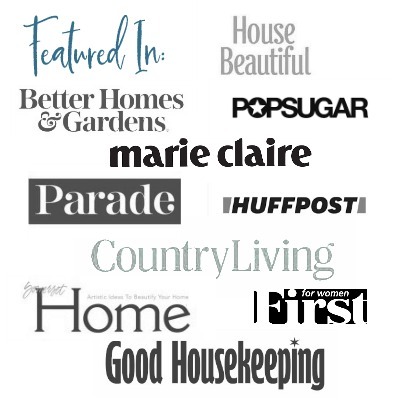 I have so enjoyed sharing my projects, recipes and garden tips with all of you. 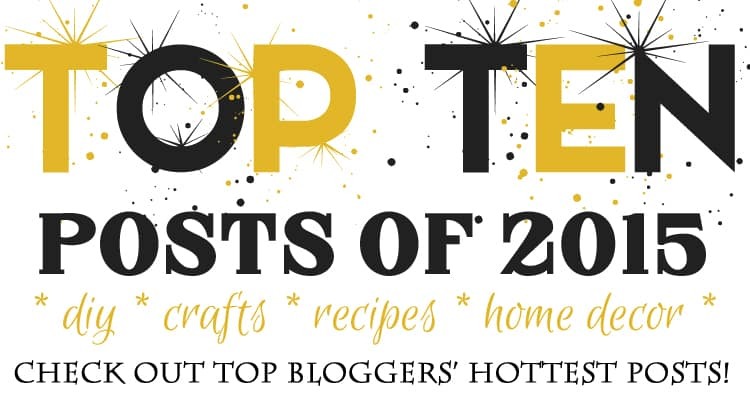 As we prepare to ring in 2016 I’m sharing highlights of the most popular posts this year. You know when you go on a house tour, you start getting excited by all the great ideas, and you can’t wait to use some in your own home. This top ten list will be the perfect boost, full of the best ideas to start the new year. #1 Chicken and Black Bean Tortilla Casserole – This is an easy recipe that can easily be adapted to many different tastes. #2 Dried Orange Garland – I made this for my fall mantel, however this can also be made into a wonderful kitchen wreath by using a wire instead of the jute. #3 Dry Oil Body Spray – Great for summer and winter. #4 DIY Roman Shades from Mini blinds – Still holding up great in my office. #5 – Flower Pot Centerpiece – Inexpensive enough to make for a large gathering, or just one for your patio. #6 Gardener’s Hand Soap – My Mother’s Day gift last year. #7 English vs French Lavender – What’s the difference, and how to grow. #8 Shade Perennials – A nice selection you made not have heard of that grow great in my garden. #9 Spiced Mug Mats – Scented coasters made from square fabric and filled with spices. Super simple to make. #10 5 Herbs to Know & Grow – Another sample of off-the-beaten-path herbs to grow in your garden. That garland! so many beautiful and informative goodness here! What a beautiful year! I want to try your dried orange garland – that gorgeous! love all your projects, i can’t pick a favorite because they are all so amazing! What wonderful and inspiring projects!! Patti, you have so many amazing projects but I’m going to hop on over to see how you made that dried orange wreath. My kitchen is so bare right now! Looking forward to seeing much more of your garden in 2016! Thank you for your kind words. The dried orange project is actually a garland made with twine which you have probably noticed by now but I wanted to mention that I think it would totally work as a wreath if you had a nice thick wire and didn’t try to make it too large. Cheers to a great 2016! The dried orange garland is gorgeous, and I bet it smells terrific! Thanks Jessica. They actually don’t smell that strong after weeks of hanging but still look pretty. I truly wish I could garden like you do. AND your orange garland is simply lovely. You are so talented Patti. Thanks for sharing and a VERY Happy New Year to you. Thanks Meeegan for your lovely and kind words. Happy New Year! I think it’s going to be a great one! Patti- I just love your blog! You are a garden gal like me. Finally dawned on me to subscribe! Not sure why I haven’t signed up to follow you sooner. Maybe we need to join forces with a few other garden lovers to do some winter garden tours to tide us over until we can get out and dig in our yards again? Have a healthy and happy new year! I’m embarrassed to say I don’t know your blog, but I am a new subscriber! Love to get gardening tips. Thanks. So glad we found each other! I love all the gardening posts. Our yard is a blank slate- right now, a muddy blank slate. I need all the help I can get. Thanks Sheila. It’s the new year and all things are possible! You’ve had a great year. I’ve already pinned your hand soap recipe to make this spring and I’ll probably make your chicken and black bean casserole this weekend. I look forward to seeing what you share in 2016! Thanks Paula! Happy New Year! Thanks for those very kind words Christy! Happy New Year to you as well!